This website is a learning resource for students looking to improve their score on GAMSAT Section 2. 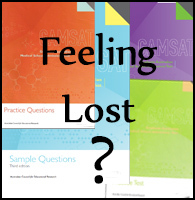 GAMSAT Section 2 is a two-part essay writing examination. It tests communication skills, critical reasoning and argument construction as well as social, emotional and self awareness. Section 2 is widely considered to be the most competitive part of the GAMSAT. Reported results vary wildly between students and the bell curve is very wide. This website sincerely challenges you to improve your thinking and writing practices. The material available here includes a variety of writing exercises as well as tutorials related to specific aspects of the exam. Follow on Twitter for updates and new content!